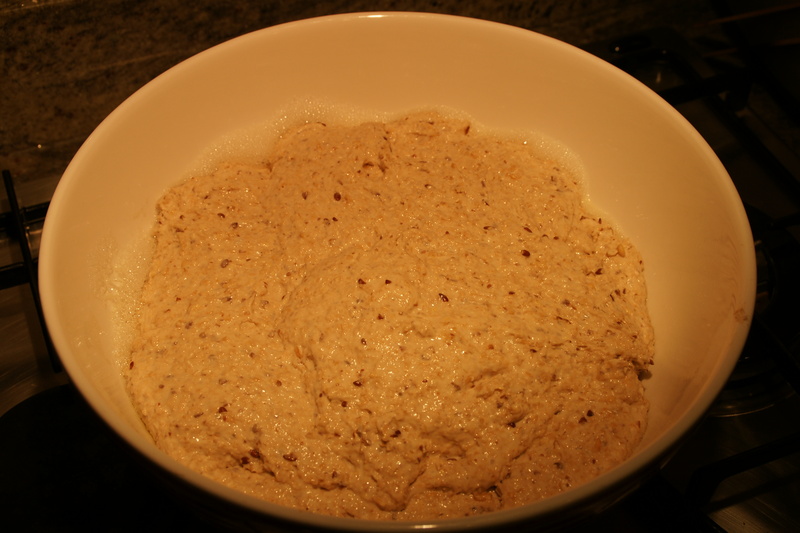 « Daring Bakers’ Challenge March 2012 – Lions, Tigers, and Bears, oh my! I have a deep, profound and fattening love of bread. Even if I didn’t love to run I would probably be forced to just to offset my love of toast. But when I talk about bread, I mean the dense, grainy, crusty stuff – the bread with character and substance. 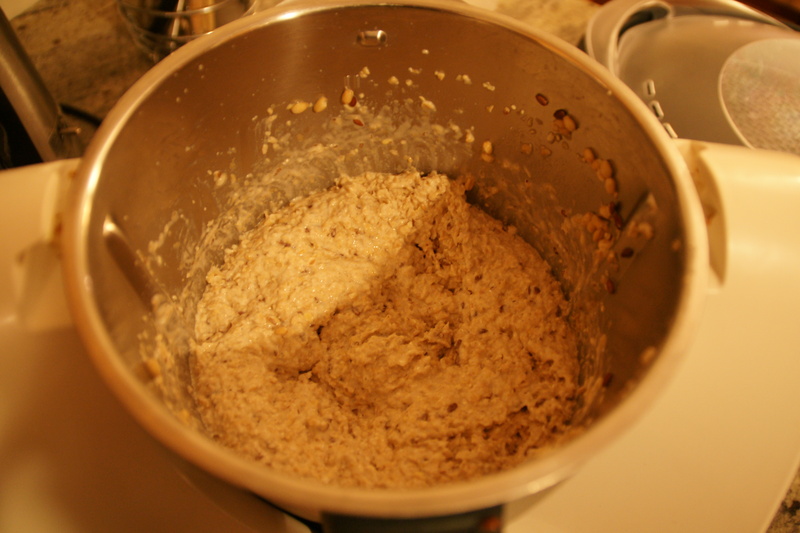 One of the things that sold the Thermomix for me was the idea that you could chuck some wheat kernels in, grind them up and make bread basically from scratch. I was happy with that for a while. 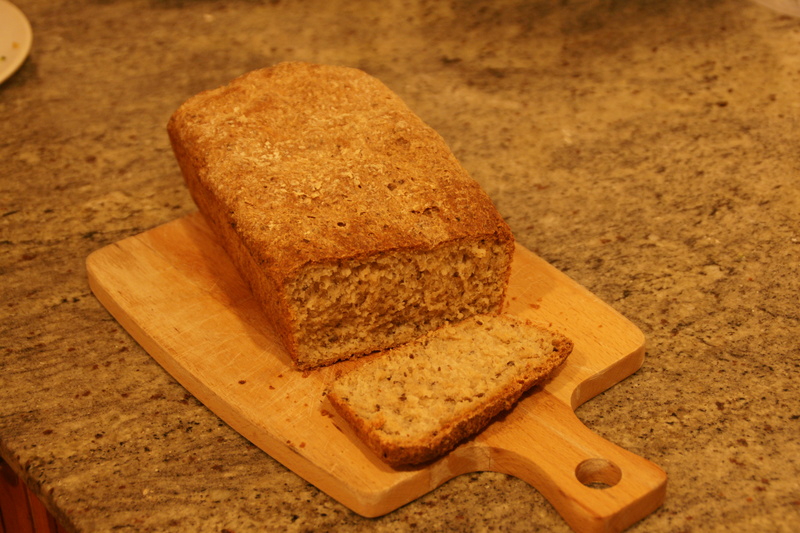 Then I found a recipe for sprouted wheat bread on Calamity Jane‘s blog, Apron Stringz. I really enjoy reading CJ’s blog – she lives a very different life to me but always makes me stop and think about the things that we prioritise, and to remind me of the things that I should always keep as my highest priority. 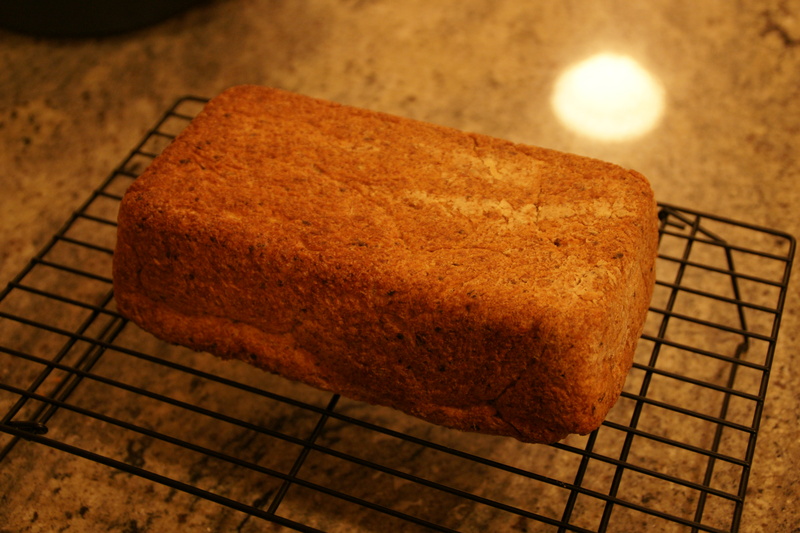 And of course the bread looked delicious. 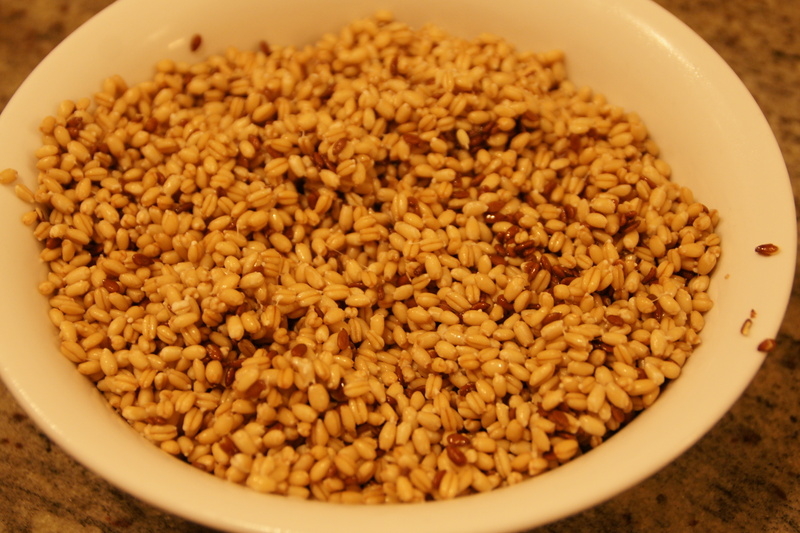 I followed her recipe, but soaked 2 cups of wheat kernels and 2 tablespoons of flax seeds only – no lentils. 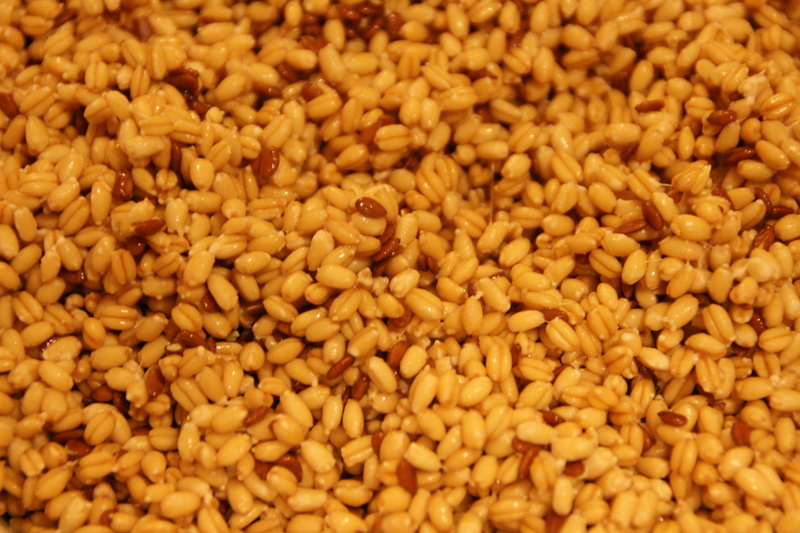 It took ages for them to sprout and I had to go to work in the meantime so I started soaking the grains on Tuesday morning and finished the bread on Wednesday night. The amount of sproutage (not a word, but it should be) was pretty minimal but I figured it would be sufficient. I then used the Thermomix to grind the grains with the combined milk and yeast until it looked (to my untrained eye) that gluten was developing. I doubt that is the correct term, but I whizzed it until it became cohesive. 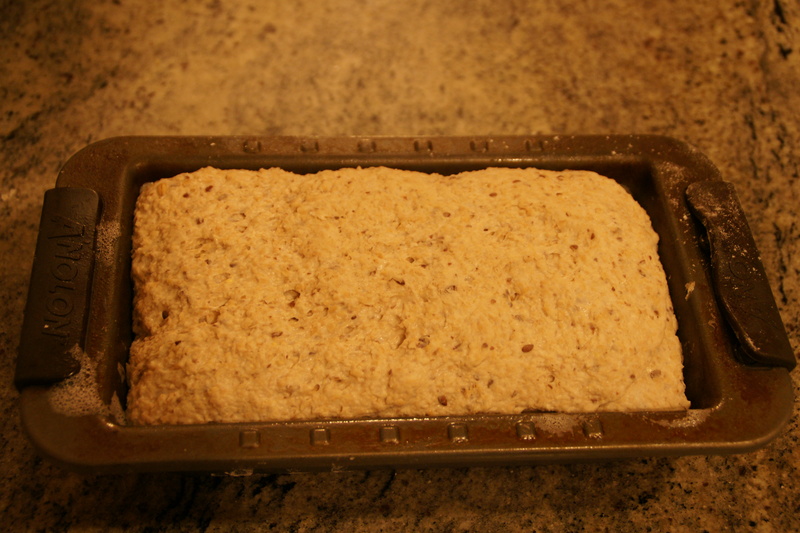 I then added the honey, salt, oil and flour and whizzed that, then used the knead function for 2 minutes. I then let it rise for an hour. It was a seriously soft, sticky dough. I was a bit worried actually. Luckily I managed to scoop it up and put it into a tin to rise a second time. I really tried to let it cool down before I tried a piece but I couldn’t. Exactly the bread I was after! I will add this one to the make again list.